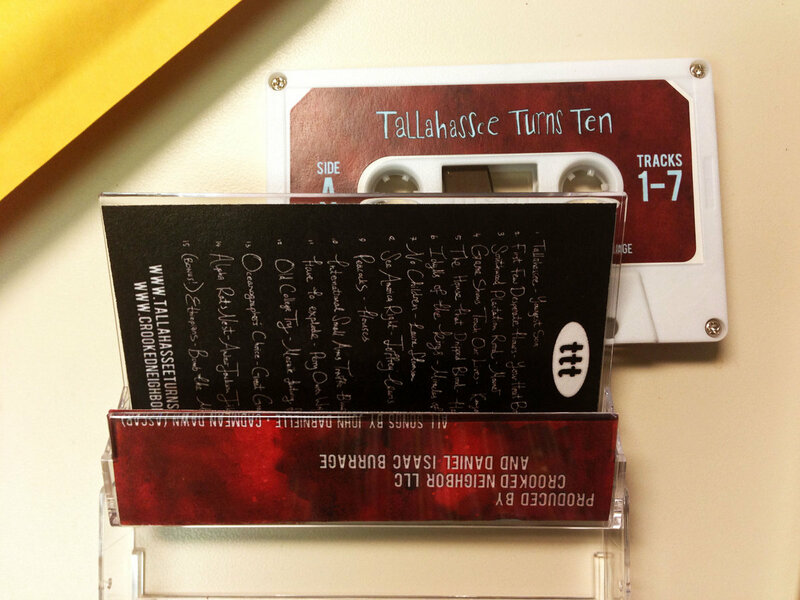 Hand-dubbed audio cassette tape. 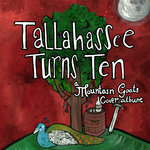 Includes digital download of the album (will be emailed to buyers on November 5th). 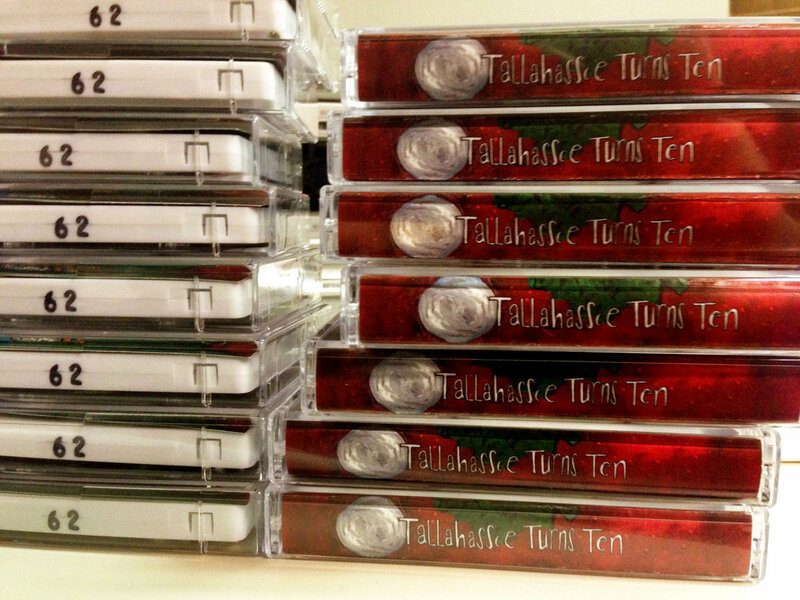 Tapes ship out in the beginning of January 2013. Includes unlimited streaming of Tallahassee Turns Ten via the free Bandcamp app, plus high-quality download in MP3, FLAC and more. 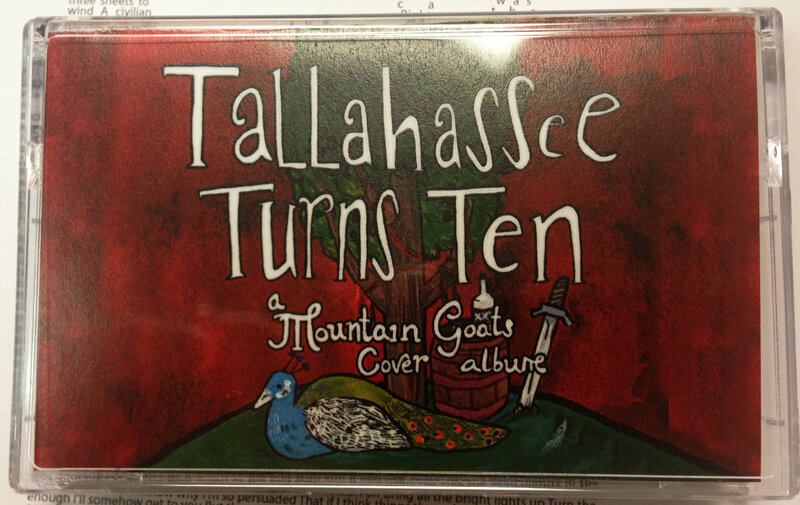 CD funded by Kickstarter campaign for Tallahassee Turns Ten. The CD is sold out, sorry. 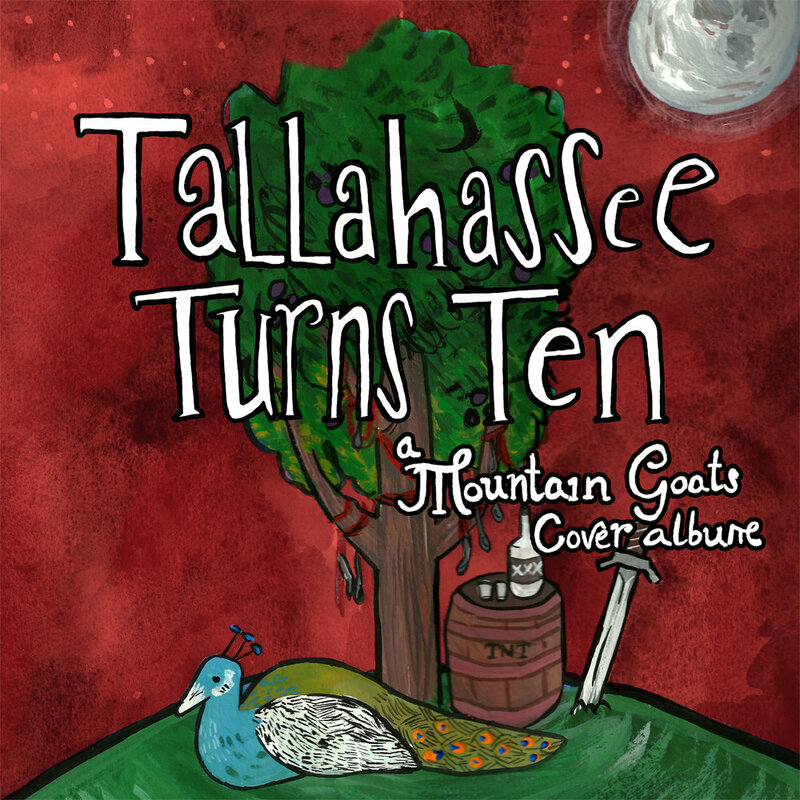 Recorded and Mixed by: Caleb Willitz of Rattlesnake Studio, Chicago, IL. 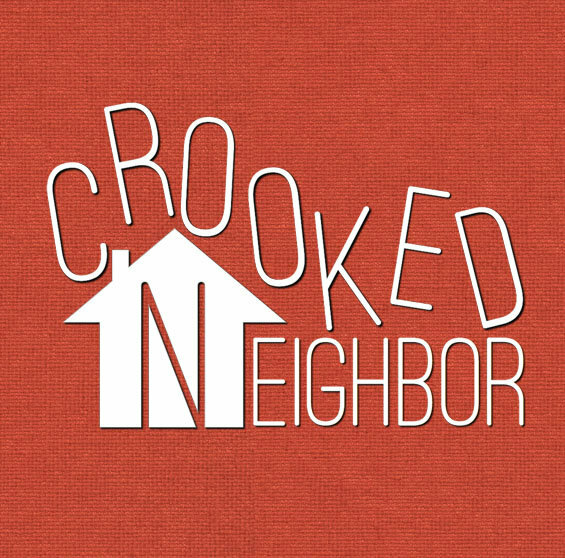 Crooked Neighbor LLC is a music production company that creates albums to benefit non-profits and charities.